We did it! Thank you to all of you who showed up at the polls to #VoteWithLove — and to everyone who joined one of our #VoteTogether gatherings! You came together in community, solidarity, and joy. We saw more than 2,000 #VoteTogether gatherings across America! Our brother Van Jones called the midterm election a Rainbow Wave — a record-number of young people, people of color, and women joined the political process to vote and changed the course of the nation. 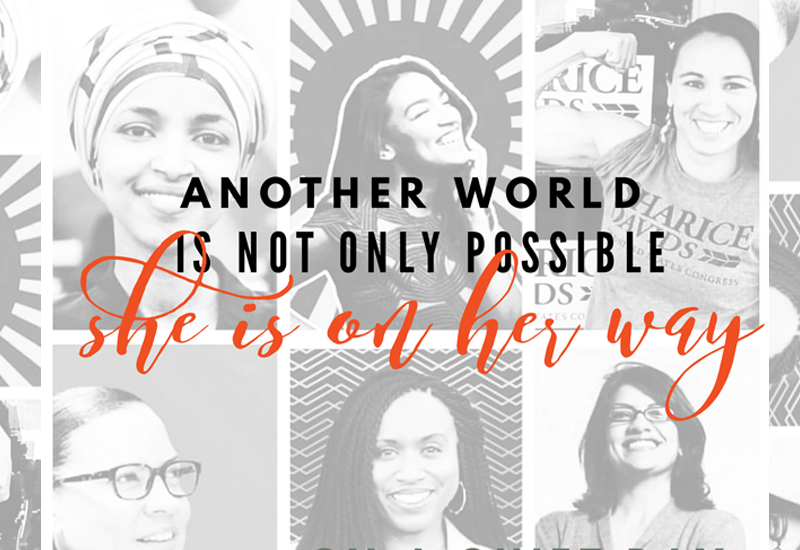 We elected the first Muslim women to Congress, the first Indigenous women to Congress, the first Texas Latinas to Congress, the first openly gay man as Governor, the first Black women to Congress from Connecticut and Massachusetts, and the youngest-ever woman to Congress. For the first time, more than 100 women now serve in the House. And in Florida, voters passed Amendment Four, restoring voting rights to 1.4 million people with a past felony conviction, the largest expansion in voting rights since the Voting Rights Act. We also saw real losses— the election of leaders who continue to mainstream bigotry, racial animosity, and white nationalism. The violence and vitriol that defined the last two years and this election season has fueled hate crimes in our streets and even bloodshed in our houses of worship. The election has not changed the fact that the lives of the most vulnerable among us remain threatened. So what do we do next? We believe that this is a time to ground ourselves in a shared moral vision — not what we are fighting against but what we are fighting for. Electing the right leaders is essential but our vision is far broader. Our vision is to birth a new America — a multifaith, multiracial, and multicultural nation that protects the civil rights of all, where people of all races, religions, abilities, genders, and orientations not only survive but thrive, where women are not only believed but lead, where our children go to school without fear of bigotry or violence, where the police serve all of us, where mass incarceration is a shame of the past, where a free press and judicial system are respected, where lawmakers work together to enact smart policies that calm the rising seas, protect the open Internet, keep big money out of politics, welcome immigrants, and ensure that every person has access to healthcare, education, clean water and food, and so much more. We envision a nation where children are taught one another’s histories, differences are celebrated not feared, and white nationalism is a relic of the past. This is why we’re here. The mission of the Revolutionary Love Project is to produce stories, curricula, media, and mass mobilizations that support this moral vision. In the works right now: books, films, television, courses, retreats, and grassroots campaigns that take us through 2020 — all aimed at reclaiming love in our lives and activism as a force for justice. Many think that we are a bigger organization that we are. Our projects have ranged from contributing to Emmy-award winning shows to curating hundreds of campus dialogues to mobilizing thousands in the political process. But we’re a tiny team that relies on committed volunteers. And we make every cent stretch. We just crunched the numbers and realized that we need only 200 monthly donors to pledge $15/month to ensure basic operations far into the future. That’s it. If you want to see more of this vision in the world, can you become a Monthly Donor? Click here to donate $15/month and become one of our beloved 200! We will mail you a beautiful postcard featuring the art of our movement as a thank-you gift — and you will be the first to know of the work we produce in the coming months. If you’d like to make a large tax-deductible donation, please send us a message and we’ll get you the details. To everyone who is celebrating Diwali today, we wish you much joy. May we all sense the joy of a festival that celebrates the victory of light over darkness. And happy Band Chori Diwas to Sikhs — a day that celebrates freedom from imprisonment! May we all be free from the prison of fear. May we continue the labor for justice in joy.